California accounts for 65% of the U.S. non-citrus fruit and nut production, and 30% of the citrus production. California is the number one exporter of agricultural commodities in the U.S.
AND over 90% of the U.S. tree nut production is harvested from Golden State orchards. 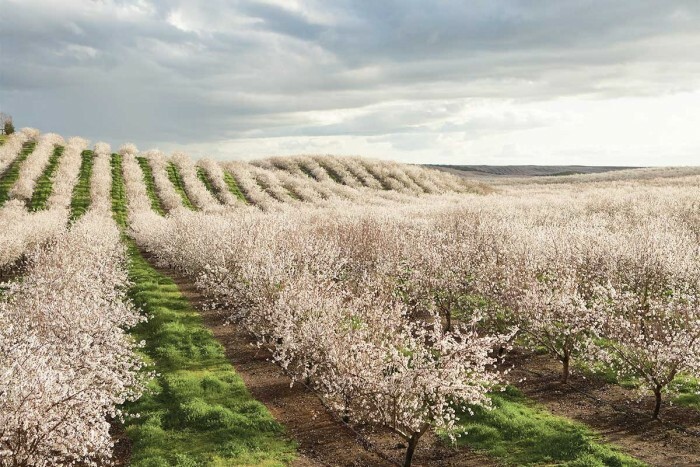 With orchards being such a large part of California’s agribusiness, it deserves a large part of your attention when it comes to Agribusiness Insurance. Make a move, and insure orchards (and other farm & ranch risks) with Abram Interstate today. Farm/Ranch Package – Property & Liability coverage for working horse, cattle and crop farms. This includes the insured’s dwelling(s), barns, outbuildings, machinery, hay, tack and other similar items. Commercial & Personal Equine Liability – Boarding, breeding, training, lessons, clinics, sales or personally owned horses. Care, Custody, Control – protects the Insured for injury or death to a non-owned horse while in their care. This coverage can be included as part of the farm/ranch package policy. Excess/Umbrella – Increased liability limits are available on this policy. Business Auto – Coverage for the insured’s automobiles. Available only if the supporting farm/ranch package is written by the carrier. We have several carriers to cover your every need. Submit your Orchard Risks HERE Now!